Ziplines, rope courses and other commercial aerial amusements have become extremely popular in recent years. But safety regulations across the country vary widely, and two recent deaths highlighted the lack of regulations in both North and South Carolina. The death of a 16-year old in South Carolina occurred after a fall from a pendulum swing on Sassafras Mountain. In June, a 12-year-old fell to her death from a zipline at YMCA’s Camp Cheerio in North Carolina. The pendulum swing on Sassafras Mountain, which is tantamount to a Tarzan rope, doesn’t meet the formal definition of an amusement ride in South Carolina and was not inspected by the Office of Elevators and Amusement Rides, according to the S.C. Department of Labor, Licensing and Regulation. North Carolina is currently waiting for the governor’s signature on House Bill 39, which calls for an increase in the penalty for illegal operations of amusement apparatuses and mandates a study by the N.C. Department of Labor on regulation of zipline operations. There is no pending legislation for aerial amusements in South Carolina. 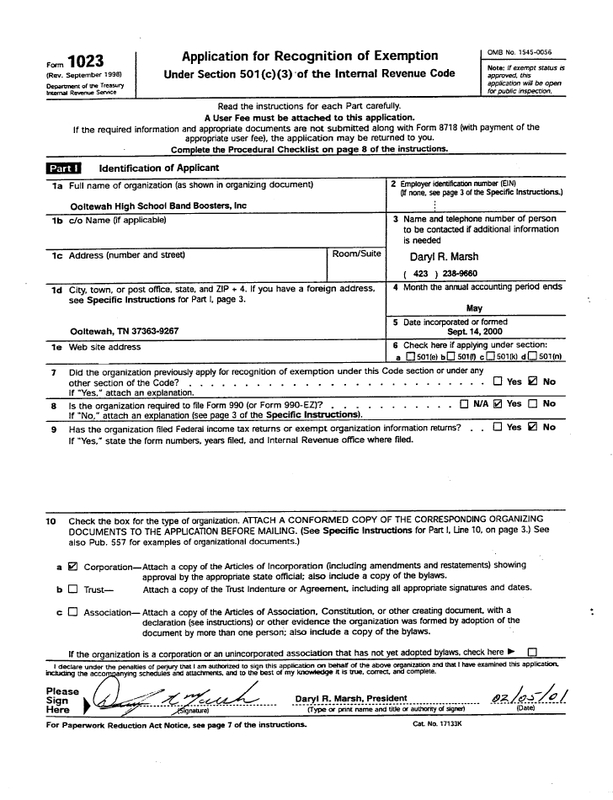 Founded in 1993, the ACCT accredits builders and certifies inspectors. The rise in popularity of ziplining began nearly a decade later. The PRCA was the industry’s first developer of ANSI-accredited standards. Source: Karen Chavez, “Carolinas lack oversight of ziplines, swings.” greenvileonline.com. 15 July, 2015. Wow! Simply WOW! These days, it’s no longer a question of if you’ll get sued, it’s WHEN you’ll get sued. And as often as not, it’s not what you did or didn’t do. It’s what someone perceives that you did or didn’t do that that can land you or your organization at the defendant’s table in a courtroom. If you are involved in any capacity, whether as a coach, administrator, player, or volunteer, there is no other option than to make sure that your organization has coverage to pay in case you need the defense. Jason Abbitt sued the Vallejo (California) Babe Ruth Baseball League for 80 percent of his signup fee in 2002 because he only played in 20 percent of the games. He sought $65, or $65 for every hit he had that season. The parents of players on opposing teams became involved in a fistfight during a youth soccer game. The loser of the fight (who also was the aggressor) filed suit against his opponent and the soccer league because of his moderately severe injuries. He alleged that the soccer league was negligent because it failed to control his behavior when they realized, or should have realized, that he was out of control. The soccer league, by the way, was for 5- and 6-year-old girls. A child was playing in the outfield in a youth baseball league when he missed a fly ball that struck him in the face, causing facial fractures. The parents sued the league and the coach, claiming that they knew or should have known that the claimant had sight problems and, therefore, should not have been allowed to play in the outfield. And then there are the crazy claims that never make it to the court room, such as the woman who tried to file a claim because, as she was driving by a youth baseball field, a baseball flew over the fence and through her back window hitting her bird cage and releasing her prized pet. The lawsuit was brought by a widow of a club member who died of cardiac arrest during a workout. Apparently, employees attempted to use both of the AEDs on the premises, only to discover a dead battery in one and none in the other, resulting in an unsuccessful revival attempt. 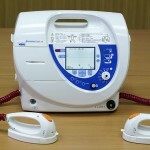 Failure to properly train staff members in the use, maintenance, and testing of AEDs. 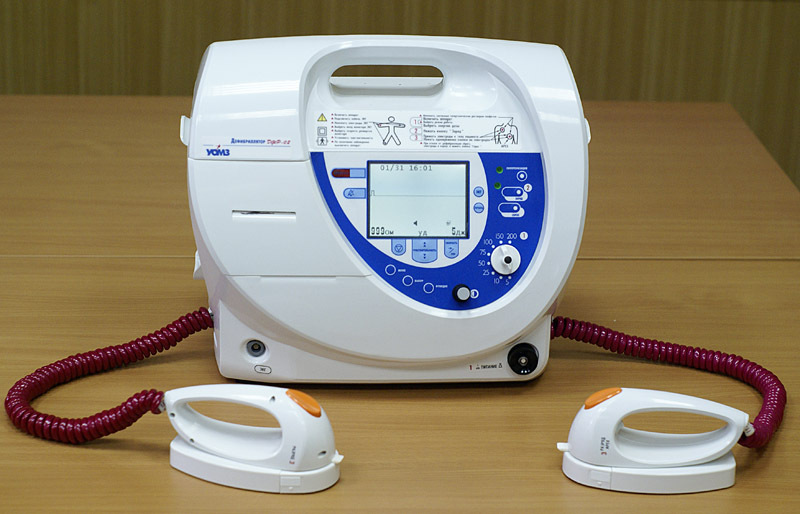 Allegations in the suit state that Zee sold the AED to the health club without a a battery and failed to provide a representative to install a battery and prepare the AED for proper use. The complaint also alleges causes of action for product liability and breach of warranty. It will be quite a while before this case goes to trial, and who’s to say a working AED would have saved this person’s life? The point is, failure of this type is easy to prevent, and a good AED representative can assist you in reducing risks by providing proper training on AED compliance. *Arkansas, California, Connecticut, the District of Columbia, Illinois, Indiana, Iowa, Maryland, Massachusetts, Michigan, New Jersey, New York, Oregon, Pennsylvania and Rhode Island have laws requiring AEDs in health clubs. Source: Richard Lazar. “Lawsuit Claims Two Non-Working Health Club AEDs Led to Member’s Sudden Cardiac Death,” Readiness Systems. 03 Mar. 2014. Do girls have equal rights to field usage? A client in Oregon contacted me about a problem the local softball league is having as regards access to fields. I doubt this problem is unique, and perhaps other organizations can benefit from this information. The local rec baseball and softball teams share a municipal ballpark, which includes multiple practice fields. Apparently, the girls are not given equitable field time except in the fall, when the boys don’t play.The softball teams have offered to help maintain and build fields to pull their weight, to no avail. The coach asks if Title IX or another statute applies in this case since the fields are part of a public facility. According to our research, Title IX does not apply to municipalities unless the public facilities were being used for school-based programs. 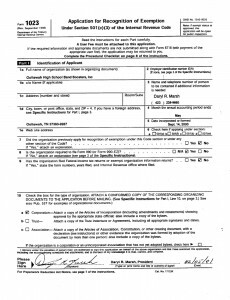 However, the equal protection clause provides an avenue to request injunctive relief if that becomes necessary. However, that can certainly be avoided if the municipality would simply allot field space based on the percentage of boys teams vs. girls teams. For example, if there are 75 boys teams and 25 girls teams, the girls teams should have access to 25% of the prime practice opportunities. Understanding how the law works can help girls gain access to fields and can help the municipality stay out of trouble. If you have a question or concern about your sports organization, don’t hesitate to contact me. The parents of a New Jersey boy agreed to settle his lawsuit for $14.5 Million against Little League Baseball, Inc., the manufacturer for Louisville Slugger bats, and The Sports Authority. 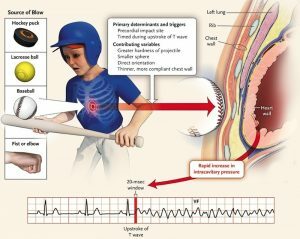 The injury occurred in 2006 during a youth baseball game where the plaintiff was pitching and struck in the chest by a line drive hit by a metal bat. 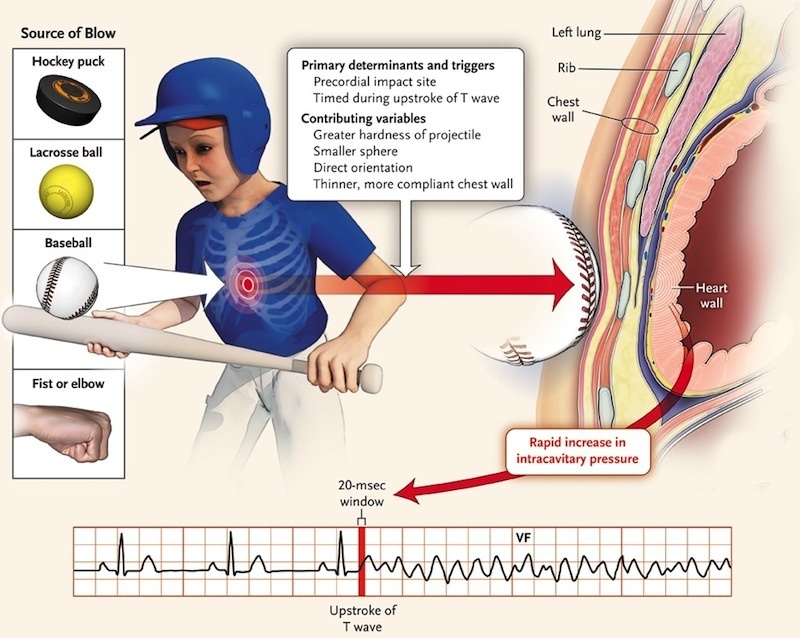 The plaintiff went into cardiac arrest resulting from a blow to the heart within the precise millisecond between heartbeats. This condition, known as commotio cordis, is extremely rare. Paramedics reached the scene within minutes and later revived the plaintiff but brain damage occurred. The plaintiff can’t perform any functions of his daily life according to his attorney. The plaintiff alleged that the metal bat was unsafe because it produced an exit speed in excess of wooden bats. Even though the injury did not occur during a Little League game, it was argued that the bat that was used was approved, and thus deemed safe, by Little League. My opinion: I know of no test that has shown that commotio cordis is more likely to occur at higher ball speeds as it frequently occurs at ball speeds under 40 mph. This settlement was most likely based on fear that the jury would disregard the law of negligence and make an emotional decision based on the extent of the damages. This settlement represents a significant loss for Little League’s General Liability insurance carrier and may send shockwaves through the sports insurance industry. While a settlement does not set legal precedent, this news is not good for sporting goods manufactureres and sports sanctioning bodies that approve equipment. Look for changes to be made in the labeling of stamps and for more disclaimers of liability in product instructions.